As new Buddhist movements and groups, many from other Asian countries, spread throughout China, they are facing changes to their teachings and practices, even as they exert considerable change in Chinese society, according to a report in the New York Times (June 25). The newspaper focuses on the Taiwanese-based group Fo Guang Shan, which arrived in China over a decade ago and has grown to a movement of millions. Appealing to Chinese disenchanted with what they see as a moral vacuum left by government corruption and the dislocations of capitalist growth, the movement, led by 89-year-old Venerable Master Hsing Yun, has sought to change society through “personal piety and by working with the government instead of against it,” writes Ian Johnson. The group has set up cultural centers and libraries in major Chinese cities and published millions of volumes through the state-controlled press. In carrying out such work, Fo Guang Shun has had to compromise its religious mission and be careful not to mix religion and politics (like an outlawed group such as Falun Gong), leading the movement to play down its message of social change and focus instead on promoting traditional Chinese cultural values and knowledge. This approach has won Fo Guang Shun strong support from the government, including from President Xi Jinping. 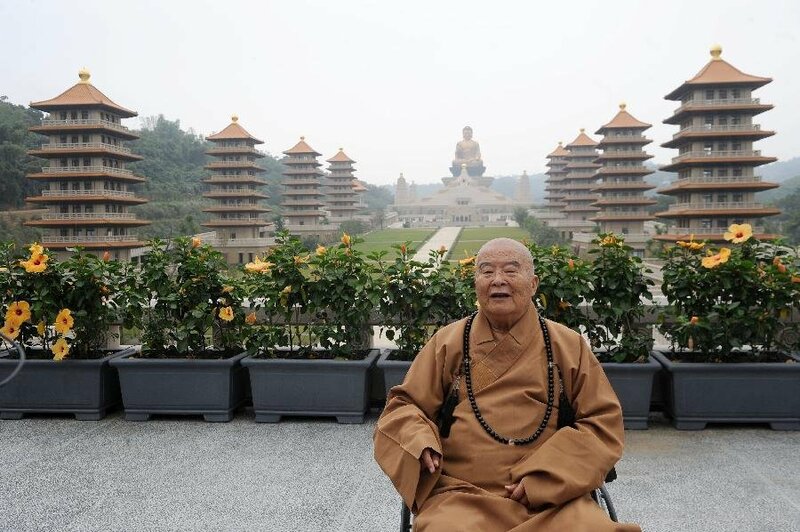 In an interview with Johnson, Hsing Yun stressed he does not want to promote Buddhism but only to “promote Chinese culture to cleanse humanity.” The way in which Fo Guang Shun promotes Buddhism, even if it does not call it that, can be seen in its plans to build the massive Temple of Great Awakening at a cost of $150 milllion. The temple will tell the story of the Buddha through giant friezes and a three-dimensional hologram of the goddess of mercy Guanyin as well as 15-story pagoda and a 16,000-square-foot worship hall.